Once in a while, my fella swings by this little dim sum place on his way to the ferry. SO GOOD. I went along one day & my heart jumped a little when I saw someone carry one of these little suckers away because it reminded me that one of my favorite foods has a Chinese origin! I should explain. It’s really hard to get manapua in Minnesota. I used to eat them all the time in Hawaii, and it was a huge bummer to be introduced to something so awesome and have it taken away. When I returned to Minneapolis, not having manaupa made the city feel more like Minnemptiness. What is this glorious treat? Even though it can be baked, my favorite is the steamed version on the bun. 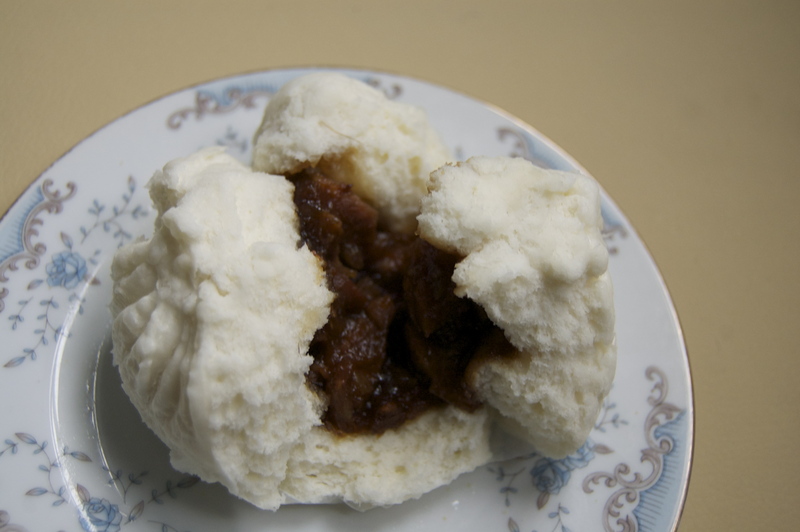 Sometimes people fill these buns with other tasty treats, such as yam or kalua pork. My favorite is the straight up original, filled with chopped up pork that is swimming around in some sweet sauce. 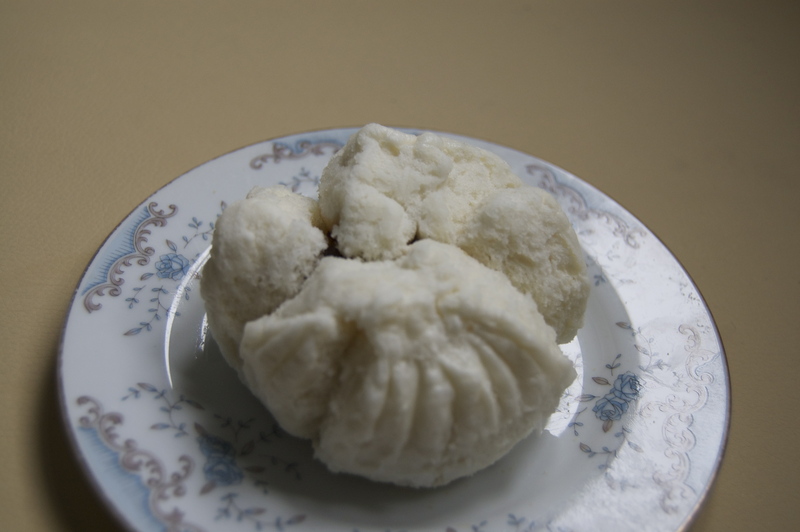 Next time you’re at Dim Sum (or any 711 in Hawaii ), check one of these out. They are juicy but not liquid mush– it’s fluffy and yet has substance. I like it, you might too! Pure happiness inside of the Char Sui Bao. *I realize Wikipedia isn’t allowed as an actual resource in school. But I’m not in school anymore!